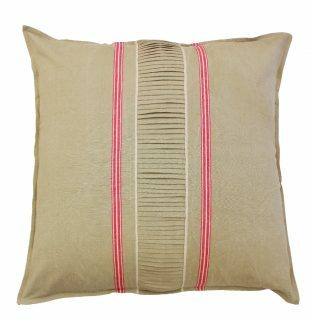 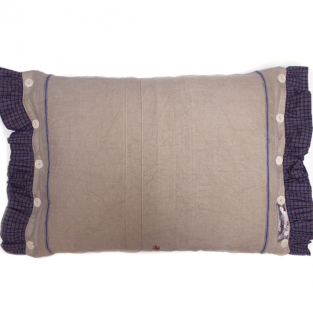 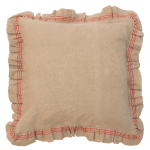 The 4-Star “Lady Letitia” Luxury Pillow 50 cm x 50 cm from the “First Ladies” collection is a one-hundred percent handmade pillowcase from selected historical mangel cloth. 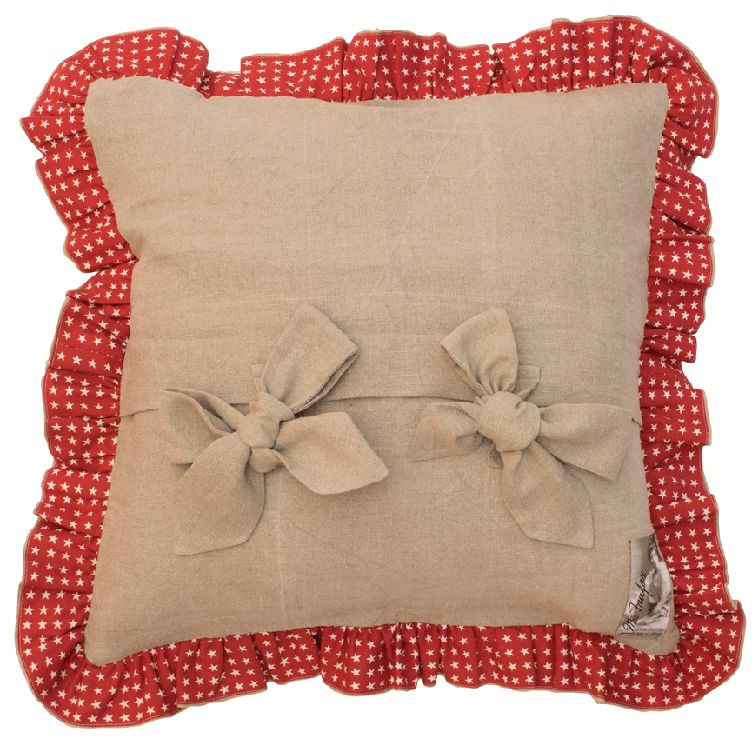 The charm of “Lady Letitia” is mainly based on its lush ruffle/linen trim and two bow ribbons for closing. 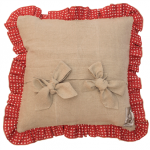 The ruffle is lined with an edging made of one-hundred percent cotton. 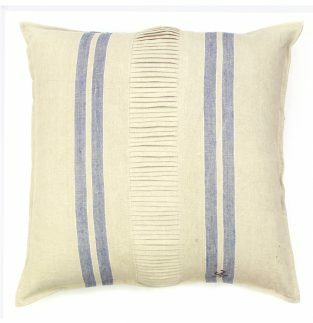 All the materials have been carefully cleaned. 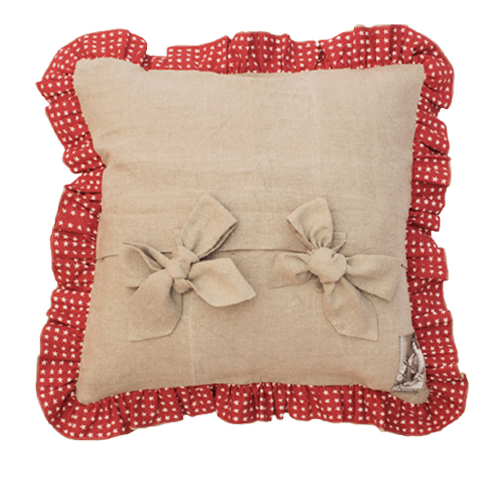 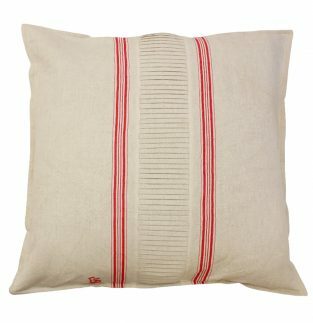 The fine “Lady Letitia” pillow is available in different versions. 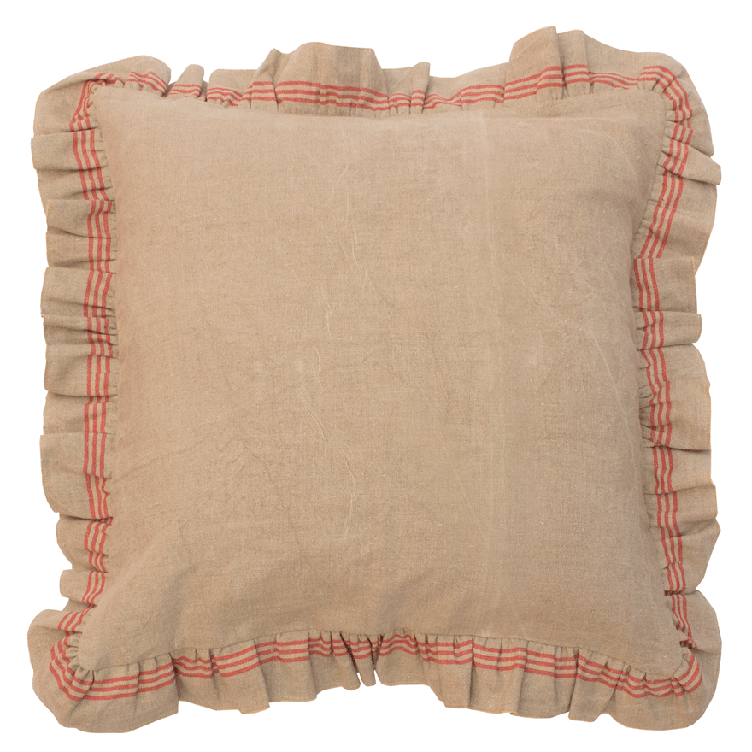 Each pillow is truly one-of-a-kind!